Plans are afoot to relaunch the RSS-backed news agency, Hindustan Samachar, which had fallen prey to the authoritarian machinations of Indira Gandhi's Emergency. A quarter of a century after the Sangh-affiliated news service downed shutters, it could well be revived as a stand-alone, multi-lingual agency with an "all India" character. The idea was mooted by former members of Hindustan Samachar, all senior journalists associated with the RSS. It found favour in RSS circles and a Rs 8-crore plan has been drawn up by senior chartered accountant Arvind Vaisham Payan, who is associated with Tarun Bharat (the RSS magazine published from Nagpur). 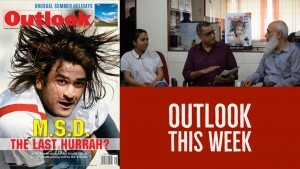 Seshadri Chari, editor of the RSS weekly mouthpiece Organiser, said the move was "serious". As did K.R. Malkani, former editor-in-chief of BJP Today, and RSS spokesperson M.G. Vaidya. Several reasons are being cited for the proposed revival plan. One is that if the agency succeeds, it could provide the Sangh parivar with a strong media platform in the future—which will enable it to purvey its worldview to the country. If nothing else, it could provide out-of-work senior RSS loyalists with some form of employment and occupation. Speculations and rumours, however, have it that a senior Union minister is interested in having the proposed news agency under his de facto control. The absence of a stand-alone Hindi news agency in the country is being cited in favour of the proposed relaunch. The managing committee of Hindustan Samachar has been reconstituted and a resolution passed to revive it. With PTI's Bhasha and UNI's Vaarta "functioning" by and large "as translation services", it was felt that the vacuum could be filled by Hindustan Samachar. And having a credible news agency at its disposal definitely wouldn't hurt the Sangh. 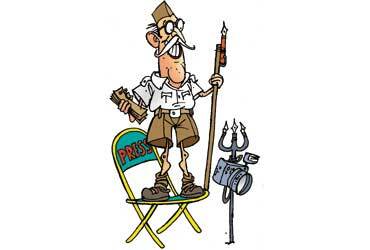 It was pointed out that the Vishwa Sambad Kendra, the Sangh's so-called news agency, was more or less defunct. The Rs 64-lakh outlay for the Kendra had not yielded the expected result, with only the odd press release to justify its existence. Until it was forcibly merged into the mega news agency Samachar Bharathi in 1975, Hindustan Samachar was a moderately successful venture with a large number of regional language subscribers. Begun in the early 1950s as a private company by one S.S. Apte, it later became an employee's collective. It launched the first teleprinter service in Devnagari (inaugurated by Dr Rajendra Prasad) and had offered services not only in Hindi and English, but Urdu, Marathi, Gujarati, Oriya and Malayalam. It enjoyed considerable popularity in Nepal, and Nepal Radio was one of its major subscribers. In fact, it was influential in far-flung areas like Sikkim and the rest of the northeast, to which the larger agencies didn't pay much attention. It was also a useful training ground, supplying senior journalists to the major publications of the day. Dr N.K. Trikha (former editor of Navbharat Times), a Hindustan Samachar product and one of the prime movers in the relaunch exercise, says it was a unique venture as "a cooperative society of employees". Efforts to revive it during the Janata Party regime didn't succeed, largely due to lack of government support. 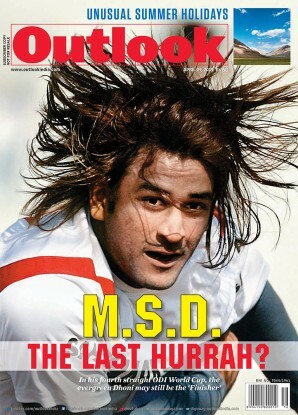 Trikha says it's too early in the day to say whether the revival efforts will now take off, because 25 years down the line media is a whole new ballgame. "It is a new situation, there are many dimensions," he admits, but adds that a "legal framework" had been drawn up. However, there are reportedly strong differences of opinion on the proposed agency's set-up. The main movers, apart from Trikha, are reportedly Chari himself (although he says he is not directly involved) and Srikant Joshi, former prachar pramukh and now pracharak pramukh of the RSS. A senior cabinet minister is understood to have shown interest in the project and is expected to assist in raising the requisite funds, when necessary. Sources say a tug-of-war is on in the Sangh over control of the proposed agency. In fact, some members who had earlier shown interest in the project, like Baleshwar Aggarwal (former general manager of Hindustan Samachar and one of its founding members), are now keeping away from it. Curiously, Panchjanya editor Tarun Vijay has kept away from the project and there are those who are not for K.R. Malkani's inclusion in the revival programme, although he has been editor-in-chief of various RSS publications. There's also a suggestion that the agency be a part of the RSS publishing house Bharat Prakashan, which brings out Panchjanya and Organiser and whose managing director is industrialist J.P. Agarwal. But the question is: what will be the colour of news?